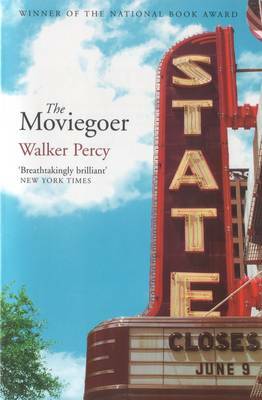 Winner of the 1961 National Book Award 'The Moviegoer' is the dazzling novel that established Walker Percy as one of the major voices in Southern literature. 'The Moviegoer' is Binx Bolling, a young New Orleans stockbroker who surveys the world with the detached gaze of a Bourbon Street dandy even as he yearns for a spiritual redemption he cannot bring himself to believe in. On the eve of his thirtieth birthday, Binx Bolling is adrift in New Orleans. He occupies himself with dallying with his secretaries and going to movies, which provide him with the 'treasurable moments' lacking in his real life. But one fateful Mardi Gras, Binx embarks on a hare-brained search for authenticity that outrages his family, endangers his fragile cousin, Kate, and sends him reeling through the chaos of the French Quarter. Wry and wrenching, rich in irony and romance, 'The Moviegoer' combines Bourbon Street elegance with the spiritual urgency of a Russian novel in a genuine American classic.